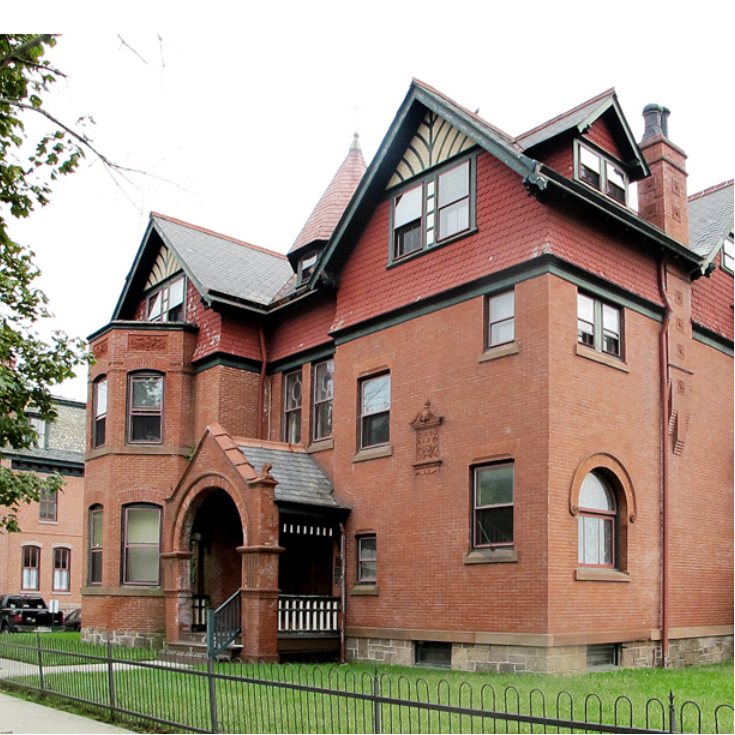 This Victorian mansion was built circa 1875 by a Philadelphia merchant as a summer home. 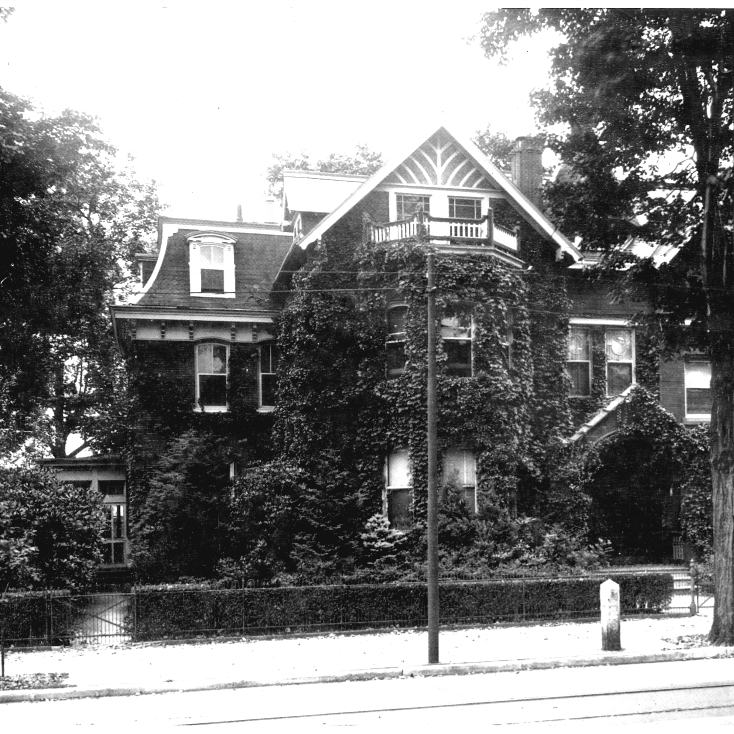 Frank Bell, a prominent Bristol Quaker and former Treasurer of the City of Philadelphia, purchased the property in 1889 and initiated a series of major alterations. Note the date marked in the frieze in the center of the south side of the front façade. 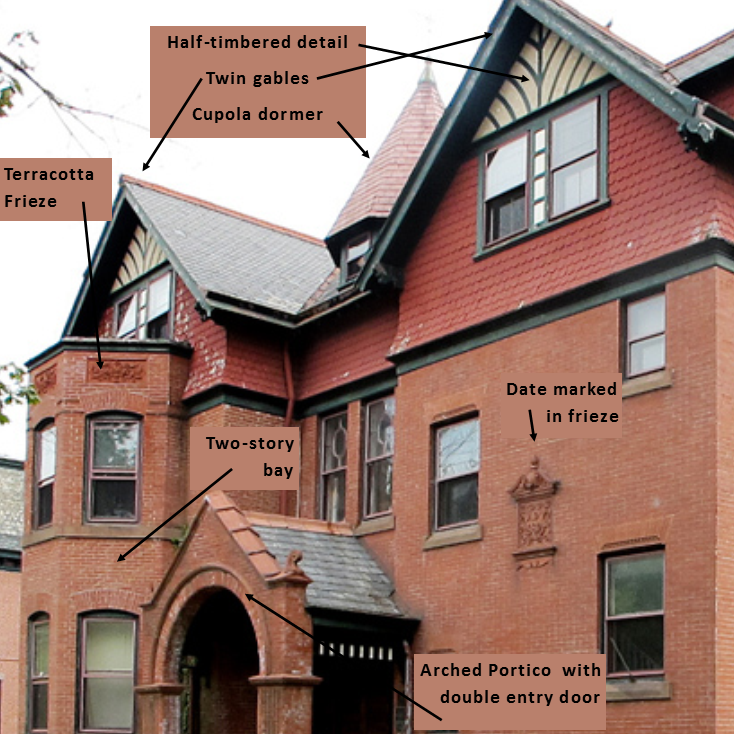 The current building features an arched portico with a double entry door, half-timbered detailing on the twin gables, a two-story bay with terracotta friezes, a tall cupola dormer at the center, and beautiful stained glass windows.